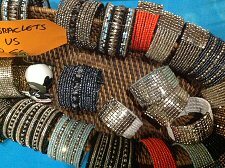 Walk into Zenergy Boutique and you are assaulted by the wonderful plethora of colours, textures and vibrant array of gifts. It's one of those stores that takes you by surprise. You wander in to have a browse because the bright hues of violet pink, turquoise and silks attract you and once inside you'll find so many gorgeous gifts whether for yourself or friends. 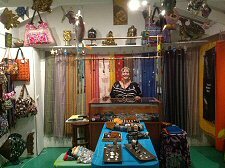 The store has a range of printed and silk sarongs, print dresses, kaftans and separates where there are many styles to choose from. 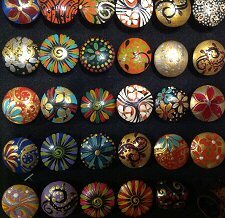 Jewellery ranges from hand painted and glazed wooden rings and pendants to intricate earrings and bangles which make perfect mementos and gifts as well as arrange of unique silver jewellery. For your home, a beautiful range of fish offer a surprising function. As well as gorgeous decorations you can put tea lights inside them and cast flickering atmospheric and romantic lights across any room. Choose from small puffa fish to huge angelfish. Located just below the basketball court on Dockyard Drive in English Harbour, the store is open Monday to Saturday from 10 am until 8 pm, so it is an ideal after-dinner browsing spot (and very tempting after a few glasses of wine). 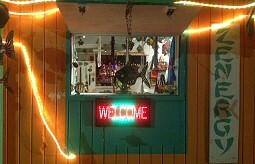 We invite you to stop by and discover wonderful gifts for you and your friends at Zenergy Boutique. ADDRESS: Dockyard Drive, English Harbour just below the basketball court.